Another high octane offensive performance backed a strong start by Hunter French to lead the Pippins to their fifth straight win. In the first inning, the Elks took their first lead of the series. After two quick outs, the next three men reached base, including a two run double off the bat of Brandon Leitgeb to put the Elks in front 2-0. The Pippins offense answered in the second. After back to back singles leading off the inning, Cody Jefferis kept a line drive fair down the left field line to put the Pippins on the board. After an error allowed Cole Pofek to get aboard, Victor Cerny hit a deep drive to the center field wall for a sacrifice fly and pulling the Pippins even at two. Elijah Greene and Nick DiCarlo also checked in with run scoring singles to put the Pippins ahead 4-2. French would give up a run in the second but settled down and cruised through the middle innings, allowing just one base runner from the third through the fifth inning. In the fourth, the Pippins grabbed another run to extend the lead to 5-2 and chased Elks starter AJ Atherton. The Pippins blew the game open in the sixth. Pofek lead off the inning with a double and Cerny immediately drove him in with a single. 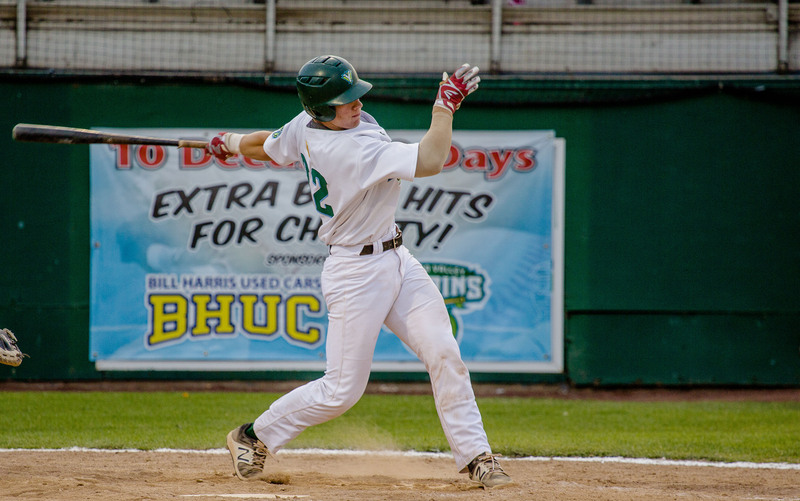 Later in the inning, Tyler Lasch drove in two more runs with a double, extending the lead to 8-2. French rolled into the seventh before running into trouble. The Elks put runners at the corners with one out before the Pippins brought in Jack Gonzales out of the bullpen. Gonzales quelled the threat with back to back strikeouts. The offense stayed hot in the seventh and eighth innings with two more runs in each inning with Cerny, Pofek and Greene checking in with run scoring knocks. In the bottom of the eighth, players noticed thunder and lightning in the distance which put the game in a 30 minute delay. After the delay and with the storm continuing to roll in, the game was called, giving the Pippins a 12-3 win. The win is their fifth straight overall, sweeping the series against the Elks. The Pippins swept the season series with the Elks and head into the All Star Break a game and a half up in the WCL north division. The Pippins next play on Wednesday at Yakima County Stadium against the Lefties. First pitch at 6:35.